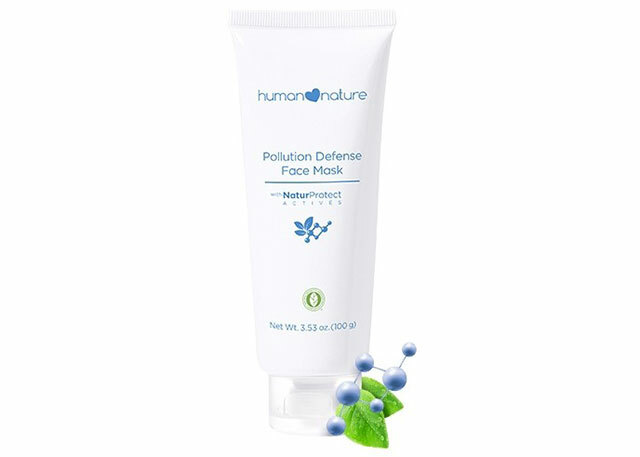 Protect your skin from pollution damage! If you live or work in the city, chances are, you're exposed to pollution daily—it's just something we have to deal with. Smoke and heat wreak havoc on our complexions, accelerating the appearance of aging and triggering blemishes. It's a good thing there are steps you can take to combat environmental aggressors, namely: Double-cleansing, exfoliating, correcting, and protecting. 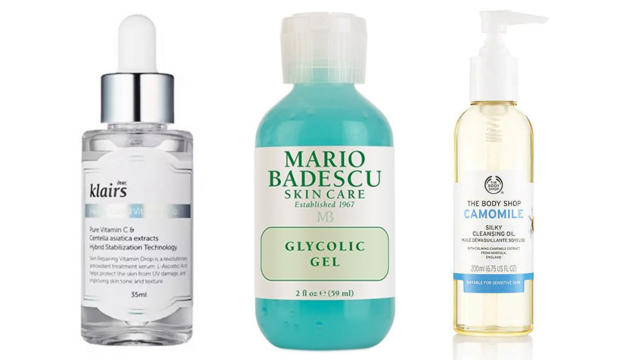 Don't worry, we'll walk you through each of these steps for an anti-pollution skincare routine and we've also rounded up 10 products to help you get started. 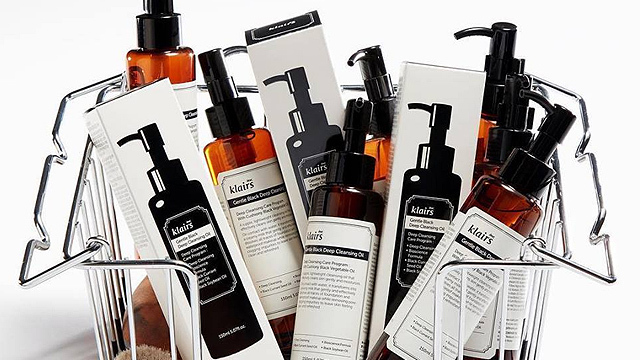 Washing with a cleansing oil removes oil-based residue (makeup, sunscreen, sebum), while a facial cleanser lifts water-based dirt (like dust). When used together, skin is purified from gunk without feeling tight and dry. 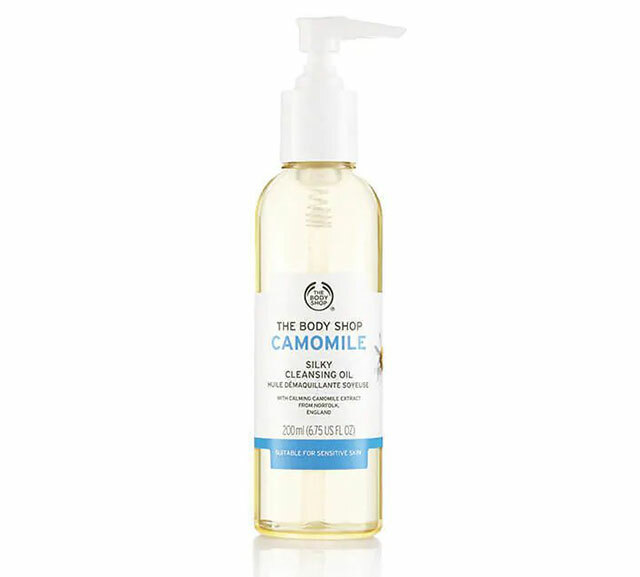 This gentle cleansing oil from The Body Shop gets rid of waterproof makeup without the sting on the eyes. It's safe for those with sensitive skin and those who wear contact lenses. 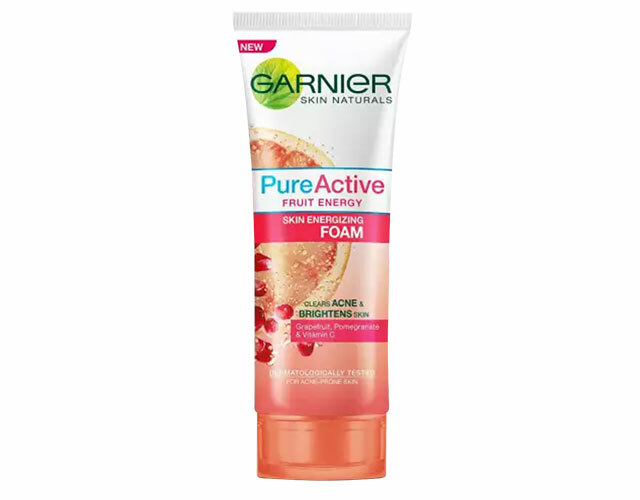 This foam cleanser from Garnier has grapefruit and pomegranate extract, which brings back the skin's radiance with every wash. It's important to detoxify your skin every now and then. For those with oily skin, twice a week is a good frequency, but for those with dry or normal skin, you only need to do it once every seven days. As its name suggests, this clay mask from Human Nature has bamboo charcoal that takes off deep-seated gunk hiding beneath the pores. It also has bentonite clay which refines the skin's texture. Free radicals, which come from a polluted environment, cause wrinkles and pigmentation. This toning/exfoliating pad from Neogen has Reservatrol (from red wine) which fights these agressors. 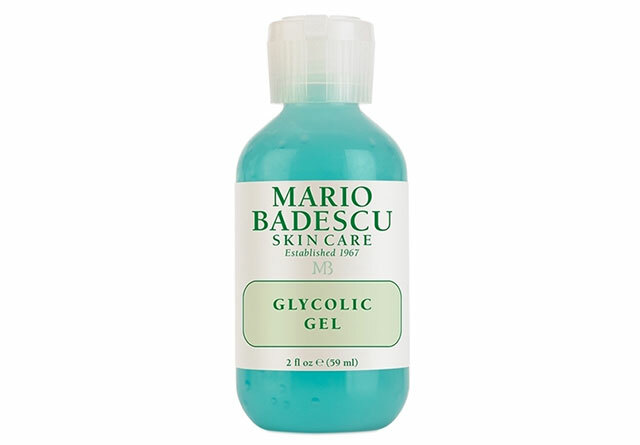 A thin layer of this overnight exfoliating treatment from Mario Badescu eliminates dead skin and unclogs congested pores. It also fades dark spots and smoothens fine lines. There are skincare products made to counteract the effects of pollution. These usually have antioxidants that fight environmental factors from damaging the skin's cellular structure, so make sure to use these to correct whatever pollution damage might already be on your skin. Vitamin C is an excellent antioxidant that provides both anti-aging and brightening effects. 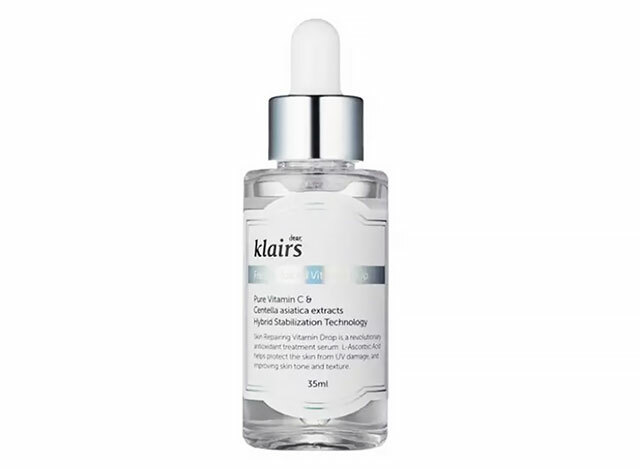 This serum from Klairs contains 5% of it so you're guaranteed to see fewer fine lines and dark spots with regular use. 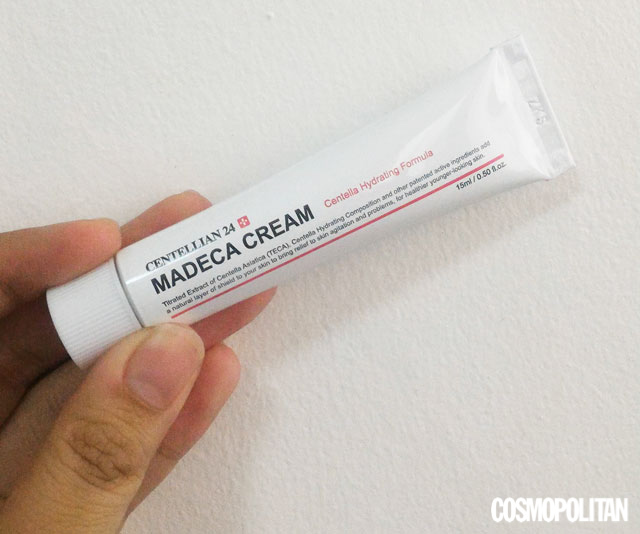 This moisturizer from Centellian 24 has Centella Asiatica extract that repairs the skin barrier, which is crucial in having a clear complexion. It can also treat acne and promote oil-moisture balance. 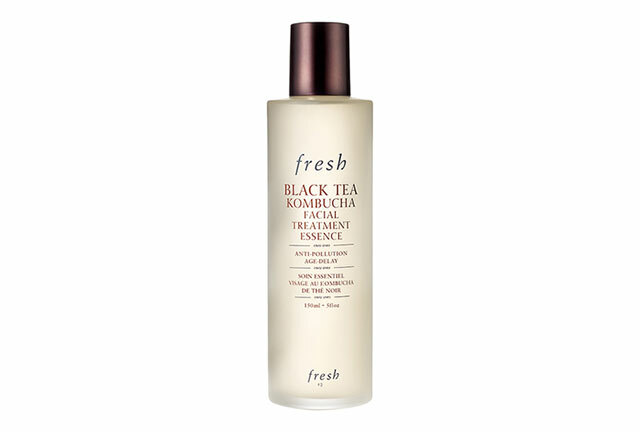 Pat this essence from Fresh on clean skin to help it absorb the black tea and kombucha extracts. Both ingredients have antioxidants that fight aging. Plus, they improve the skin's luminosity. Protecting your face from the sun and pollution is a key step in having clear, glowing skin. Exposure to UV rays accelerate signs of aging (wrinkles and sagging skin) and cause dark spots. Proper skin protection with products containing SPF will improve the effects of the serums and creams you used the night before. Here are some you can apply on your face before you head outdoors. 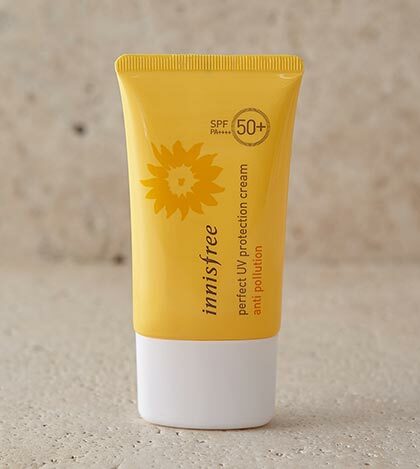 This anti-pollution sunscreen from Innisfree has a waterproof formula with an invisible filter that shields the skin from pollutants and UV rays. 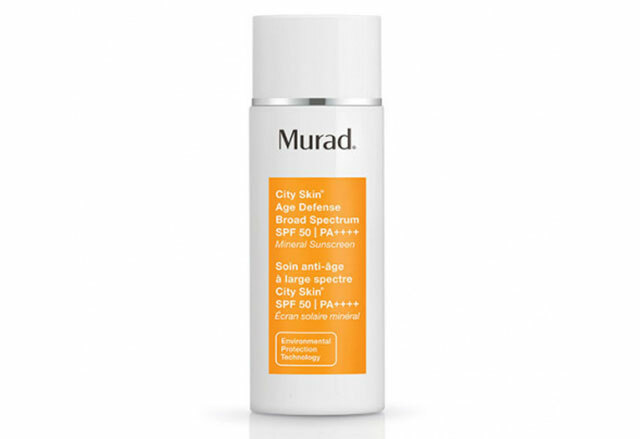 This lightweight face sunscreen from Murad has Environmental Protection Technology that protects the skin from blue light (which gadgets emit), pollution, infrared radiation, UVA, and UVB.